A very nice friend of ours offered to take us to the airport on our last day in Hilo. 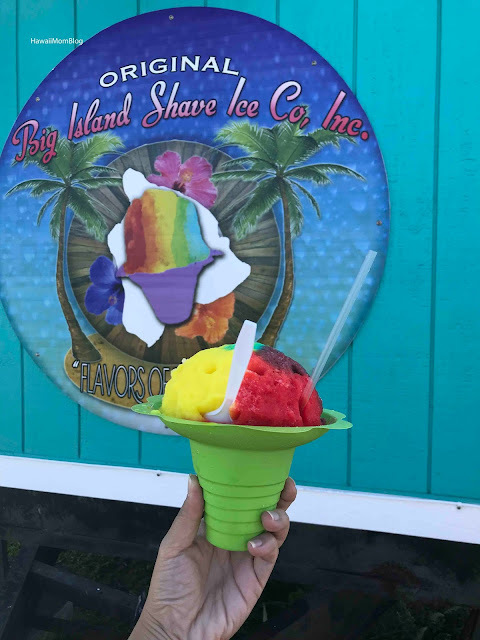 Our flight was still two hours away, and having been teased a lot by a few Hilo locals when I said that I wanted to go to the airport 2 hours early, I agreed to go get shave ice when our friend suggested it. We went to Original Big Island Shave Ice behind the Kai Store, where the line was very long. They offer a wide range of flavors (traditional, cream, and real fruit) and toppings, including specialty flavors as well as pre-made combinations. 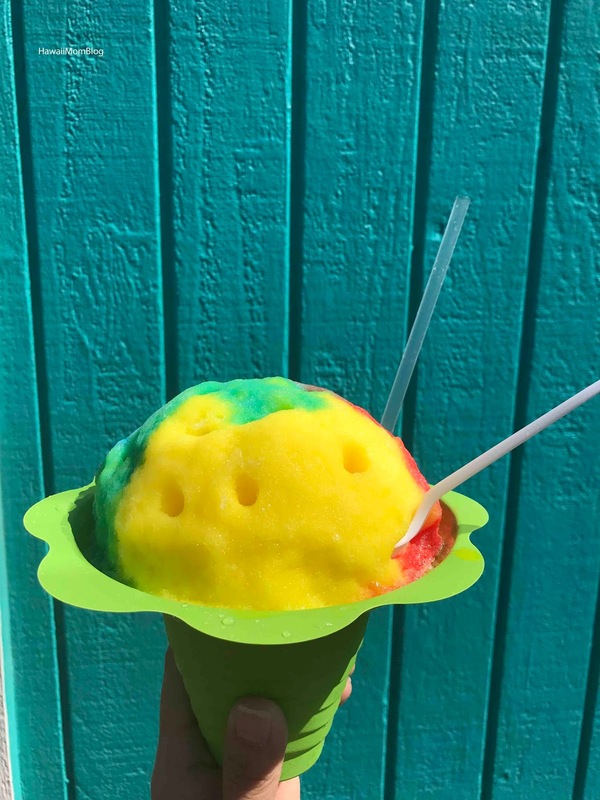 I'm actually not a big shave ice fan, so I stuck with something simple - Rainbow Cream (Strawberry Cream, Pineapple Cream, Blue Vanilla Cream). 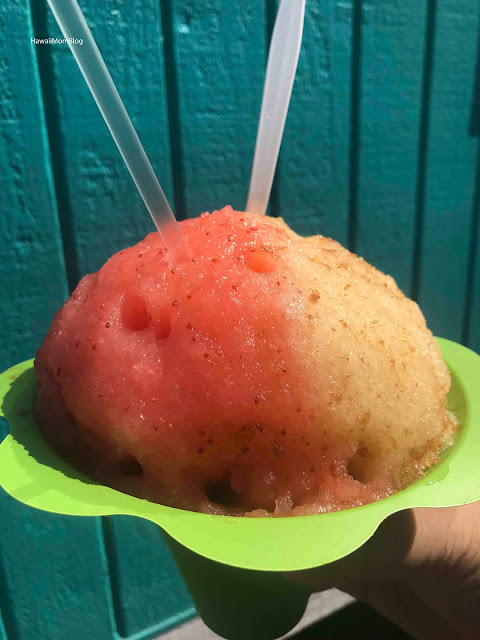 It was so delicious, and dare I say - the best shave ice I've ever had! The ice is super fine and holds the flavors of the syrup really well. 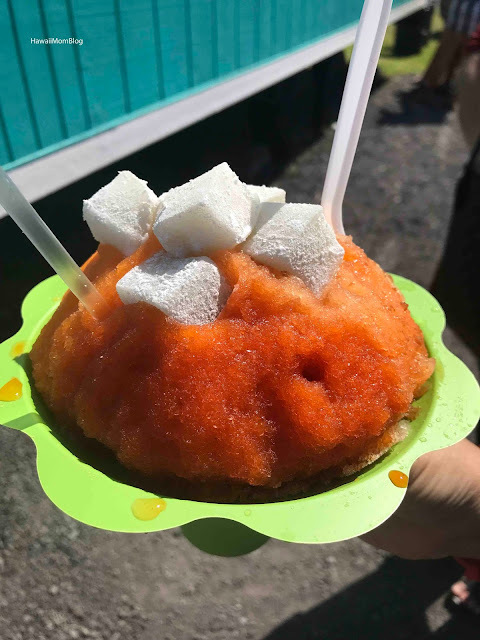 I ordered a small and ended up eating the entire thing (I can't even remember the last time I ate an entire shave ice by myself!). Don't let the long lines scare you away - it is definitely worth the wait!